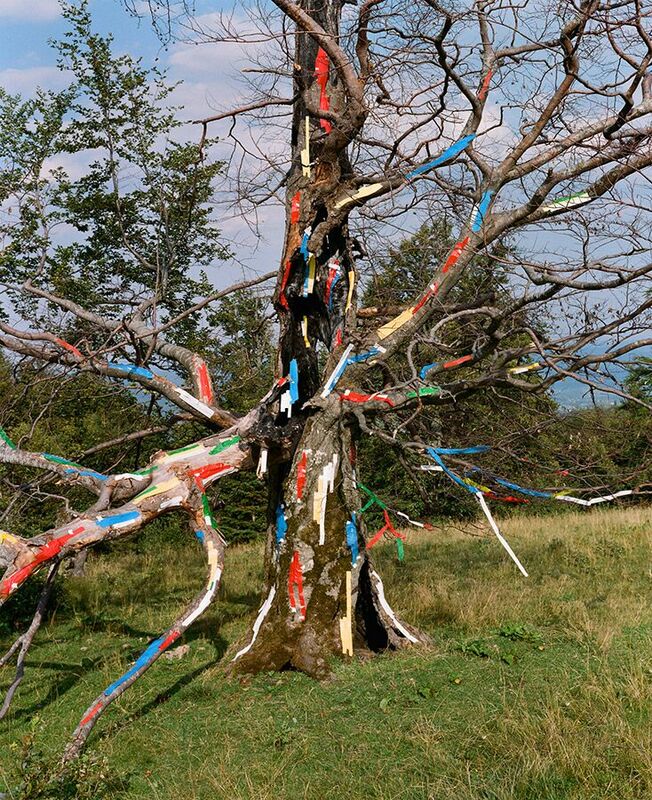 Working on ‘’Slightly Altered’’ project artistic duo Synchrodogs went into a one-month trip across Carpathian Mountains to discover how far people managed to intrude into the territories that were meant to be wild. The project is about interdependency of humans and nature and the new ways the Earth begins to look as a result of our interventions into the environmental processes. Over the month of travelling artistic duo had to face a lot of controversial situations: getting to know how thousands of trees are being lumbered by locals weekly, all illegally, for the sake of getting paid, seeing taxidermied animals in every mountain restaurant, hotel or house and never spotting at least one live animal in the forest. Witnessing these and other intrusions into nature, Synchrodogs have started reflecting upon how much we, like all life, both alter our environment and are altered by it.